A new referral form for GPs who refer their patients to the NSW Aboriginal Quitline is now available. The NSW Aboriginal Quitline is a confidential and culturally appropriate service available for Aboriginal and Torres Strait Islander persons wishing to quit smoking. Calls to the service can be made Monday to Friday: 7am to 10:30pm Saturday, Sunday and public holidays: 9am to 5pm. The improved NSW Quitline referral form has significant changes including: new branding, a new fax number and new contact details for ordering and different data collection fields. The old referral form has been discontinued. CLICK HERE to order A5 Quitline Referral Pads and more information. 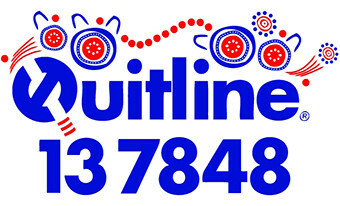 CLICK HERE for the NSW Aboriginal Quitline Info Sheet. CLICK HERE for QUIT resources. The After Hours Practice Incentive is now being administered through the Department of Human Services. To receive the incentive for after hours’ services your practice must be registered with the Department of Human Services. CLICK HERE to apply for the Practice Incentives Programme (PIP) After Hours Incentive. This form is only to be used by practices already registered for the PIP. CLICK HERE to learn more about the Practice Incentives Programme including registering for the PIP. Practices are required to provide their practice’s after hours’ services arrangements to the National Health Services Directory. To provide your practice’s after hours arrangements, email: NHSDWebsite@healthdirect.org.au. Identify and investigate barriers to appropriate care for Australian children. The study involves a retrospective review of existing data obtained from patient’s medical records in hospitals, general practices and paediatricians against indicators. Clinical experts have ratified the indicators as being the essential minimum requirements for managing each condition. 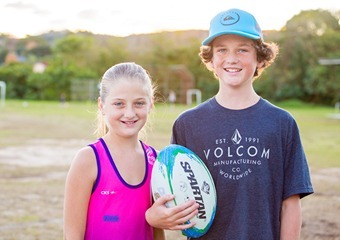 CTK is seeking to partner with interested General Practices located in selected regions of QLD, NSW and SA who are prepared to complete the randomised clinical record review process. Visit the website at www.caretrackaustralia.org.au where you can register your interest. SOURCE: The above article was reproduced from “Quality Matters” a bi-monthly resource from the Improvement Foundation. CLICK HERE to read more articles from the Improvement Foundation. 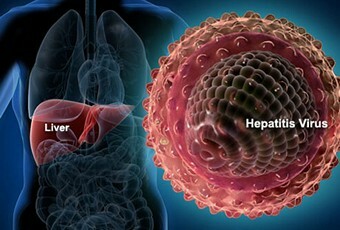 General Practitioners are invited to participate in an online survey that aims to better understand GPs’ perspectives on hepatitis C, with the aim of improving models of care for affected patients. The study is being undertaken by Professor Amany Zekry (Staff Specialist & Chair of Australian Liver Association) and Dr John Freiman (Staff Specialist) at the St George Hospital Department of Gastroenterology & Hepatology. The study involves an anonymous, online survey that will take less than 5 minutes to complete. To participate in this study CLICK HERE. It’s a fact that 8 out of 10 women in Australia who are diagnosed with cervical cancer have not had regular Pap tests. Regular Pap tests can reduce the risk of being diagnosed with cervical cancer by up to 96%. On 1 July 2016, the NSW Cervical Screening Program will launch an invitation project for never screeners. This project uses Medicare data to identify women in NSW aged 25 to 34 years who have never previously participated in cervical screening. A letter or email will be sent to selected identified women to encourage them to book their first Pap test. The project will run for three months and it is anticipated that general practices and other Pap test providers may experience an increased number of women enquiring about Pap tests, or making appointments for their first Pap test, during this time. Evidence1 suggests that women are more likely to have a Pap test if their doctor reminds them it is due. The NSW Cervical Screening Program encourages all GPs and Pap test providers to talk with their patients, particularly those who have never previously been screened, about having a Pap test every two years. 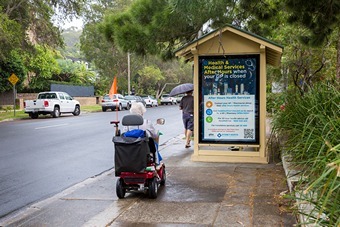 For more information, please visit www.csp.nsw.gov.au. 1Emery J, Shaw K, Williams B, Mazza D, Fallon-Ferguson J, Varlow M, Trevena L. The role of primary care in early detection and follow-up of cancer. Nature Review Clinical Oncology, 11, 38–48 doi:10.1038/nrclinonc.2013.212, (2013). Keeping up to date in the management of chronic pain can be challenging in a busy GP practice. The NSW Agency for Clinical Innovation has recently developed ‘Quicksteps’. This is an evidence based decision support tool that can be administered by a practice nurse or general practitioner during a consultation. The Quicksteps tool will guide the clinician to develop a GP management plan by following a series of yes/no questions. It is a recent addition to a NSW government endorsed website for clinicians and consumers regarding the management of chronic pain.